Hi there my name is Yeri. I am interested in finding pet care for my energetic pets. I hope we have the chance to chat soon!Hi there my name is Yeri. I am interested in finding pet care for my energetic pets. I hope we have the chance to chat soon!Hi there my name is Yeri. I am interested in finding pet care for my energetic pets. I hope we have the chance to chat soon! 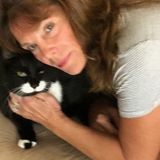 Local West Palm Beach pet sitter needed - light tasks including letting dog out to go to the bathroom and occasional feeding.Local West Palm Beach pet sitter needed - light tasks including letting dog out to go to the bathroom and occasional feeding.Local West Palm Beach pet sitter needed - light tasks including letting dog out to go to the bathroom and occasional feeding. Hey my name is Irina. I am looking for dedicated pet sitting for my puppy Benji. He is young springer spaniel.Hey my name is Irina. I am looking for dedicated pet sitting for my puppy Benji. He is young springer spaniel.Hey my name is Irina. I am looking for dedicated pet sitting for my puppy Benji. He is young springer spaniel.